From now on it is no longer necessary to look at your wrist to read the precise time off a stylish masterpiece from the house of Habring². 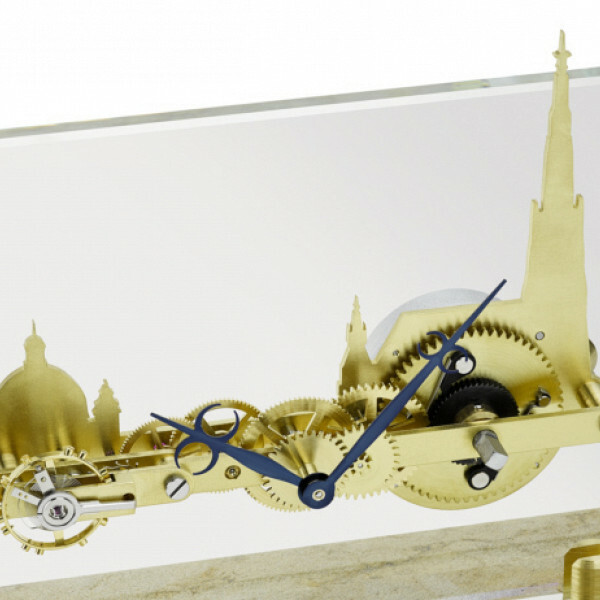 The small Carinthian manufactory recently launched its first table clock on the market. 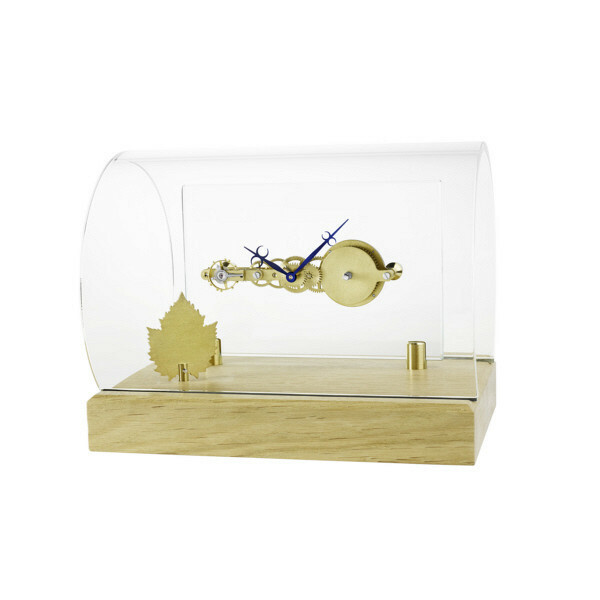 Maria & Richard Habring want to reconnect to the grand history of Austrian table clocks that even today still send collectors around the world into transports of delight on account of the richness of ideas and inventiveness they harbour within them. Whilst the first version, the "Canaletto View", was dedicated to Maria Habring’s place of birth – namely Dresden and its famous skyline – subsequent versions now address a larger circle of those who are fond of beautiful things. 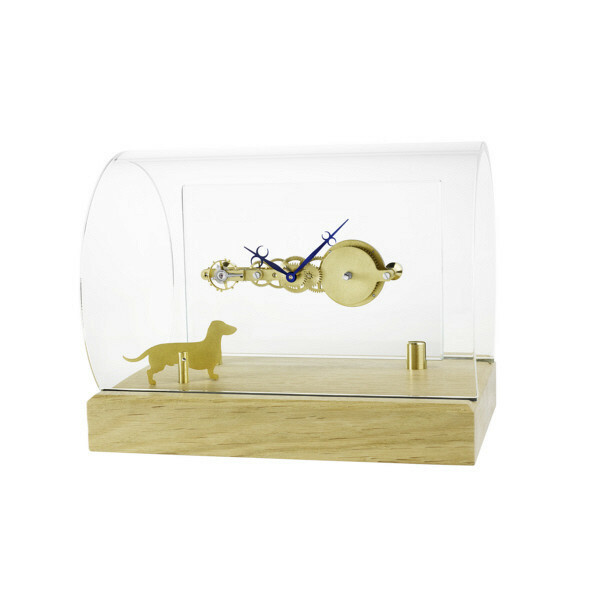 This is made possible by the modular system familiar from Habring² wristwatches and the value added manually day in, day out by the "clock farmers" from Völkermarkt and their industrious employees. 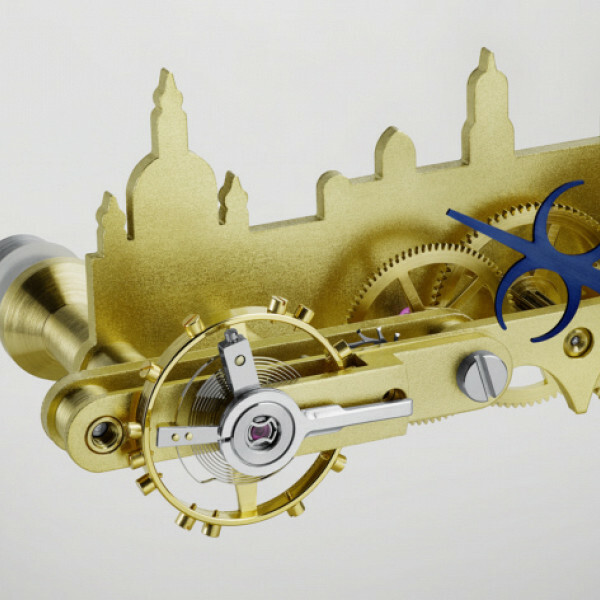 The table clocks of this series are based on the calibre 104B, a so-called bar frame that together with its linearly arranged cog wheels and balance wheel attains an admirable length of 108 mm. 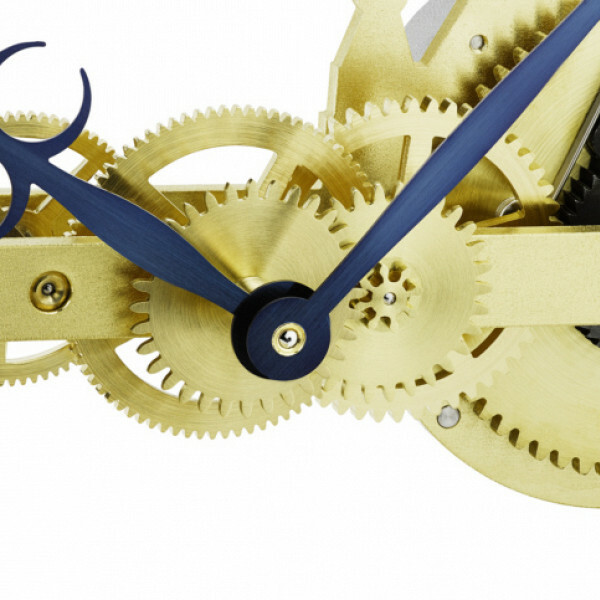 The very large 19 mm screw balance wheel beats the time steadily by at 18,000A/h for 10 days when fully wound. 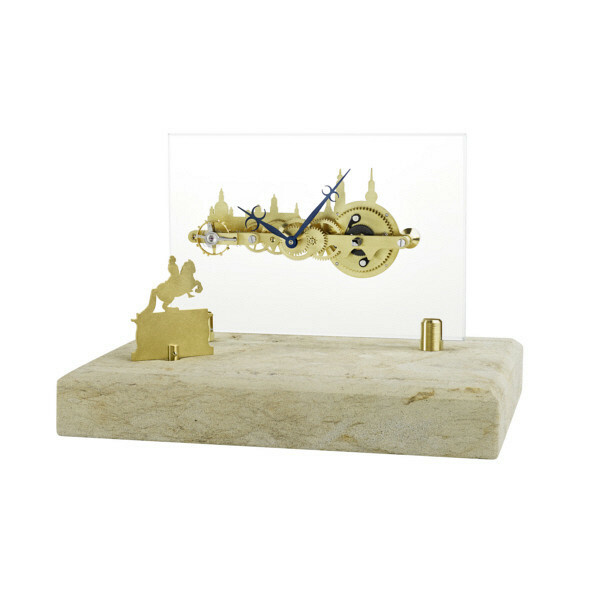 Of course, bar frames of this nature are not new to the history of clocks. 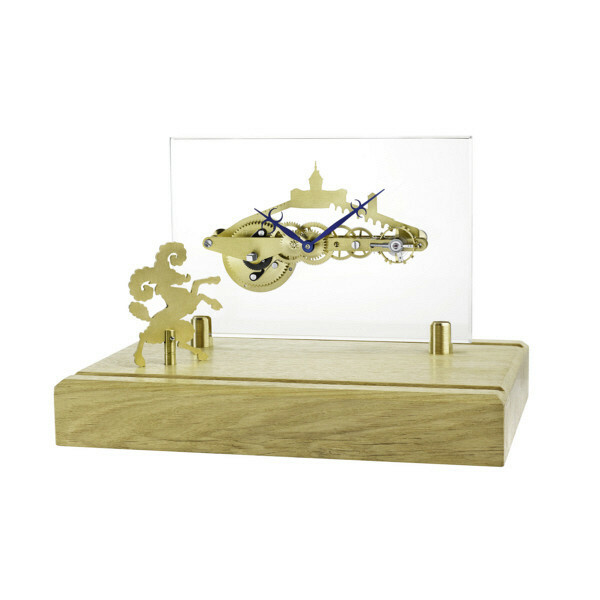 But what really is new and unique is that clock aficionados from around the world can design their very own personalised clock (or have it designed for them), be it as a single piece or a mini-series. 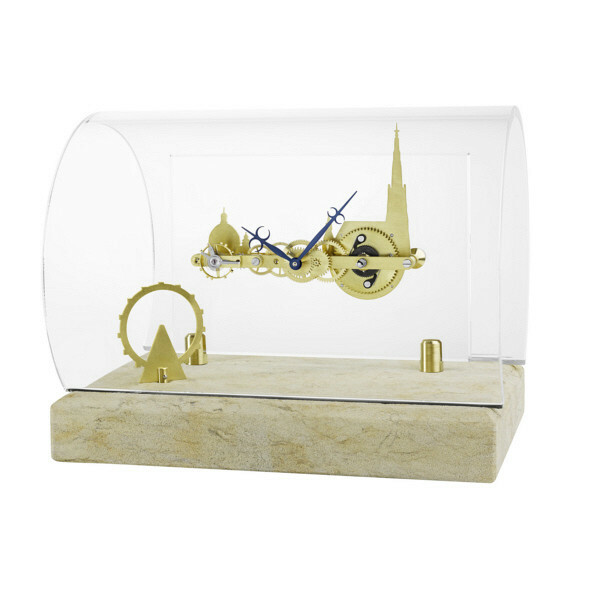 The outlines of monuments, skylines, logos, symbols and contours of any kind on the bridges and plates in these customised, one of a kind clocks are applied in the customary manner, namely by cutting and filing. 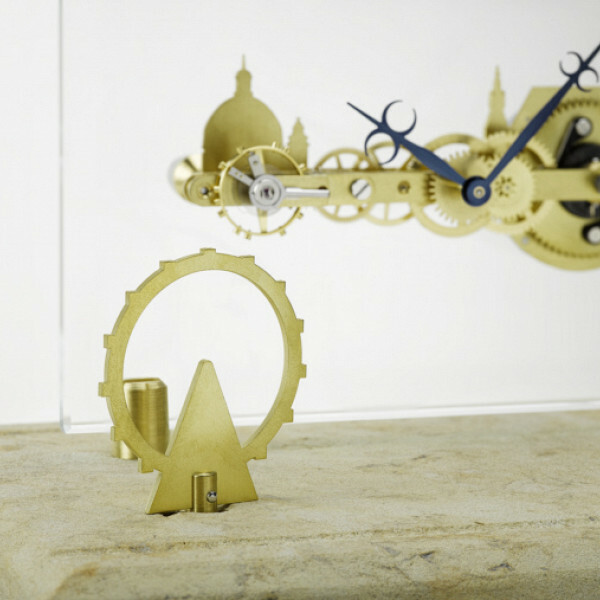 The subsequent surface treatment and gold-plating conserve the lustre of the metal parts for the long term. The sky is virtually the limit with regard to design - in fact, anything goes as long its fits beneath the dome. 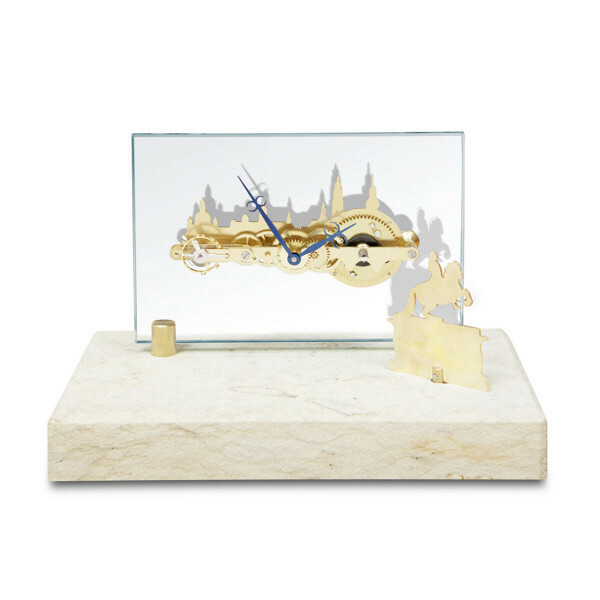 A base made from precious untreated woods or Dresden sandstone rounds off the ensemble that, with dimensions of 20 cm in length, 14 cm in depth and 16 cm in height, is compact enough to fit anywhere but also large enough to catch the eye.